Moroccan kumquat marmalade with fruit from my own, tiny tree. Rinse kumquats. Cut the green tip and slice the kumquat lengthwise then quarter it. Cut and discard the white membrane in the center and remove the seeds. Thinly slice the kumquats crosswise. Weigh the kumquats once you prepare them. You will want up to the same weight of honey and sugar (or you can reduce it if you prefer your marmalade to be less sweet). Mix the sugar, honey, kumquats, orange juice and lemon juice together. Add spices. Cover your bowl, and place in the fridge for at least 12 hours. Sterilize jars. Place kumquat mixture in a pan and cook, uncovered, on medium-high heat. Once the kumquat mixture starts foaming and boiling, reduce the heat to medium and use a wooden spoon to stir the mixture occasionally. Cook the kumquat mixture until the liquid evaporates and becomes syrupy. This will take around 45 minutes to an hour for this amount of kumquats. Test marmalade to ensure it has set. Remove from heat and at 3-5 tablespoons of orange blossom water. Fill jars with marmalade – make sure that both the jars and the marmalade are hot when filling them. Seal jars in a water bath. 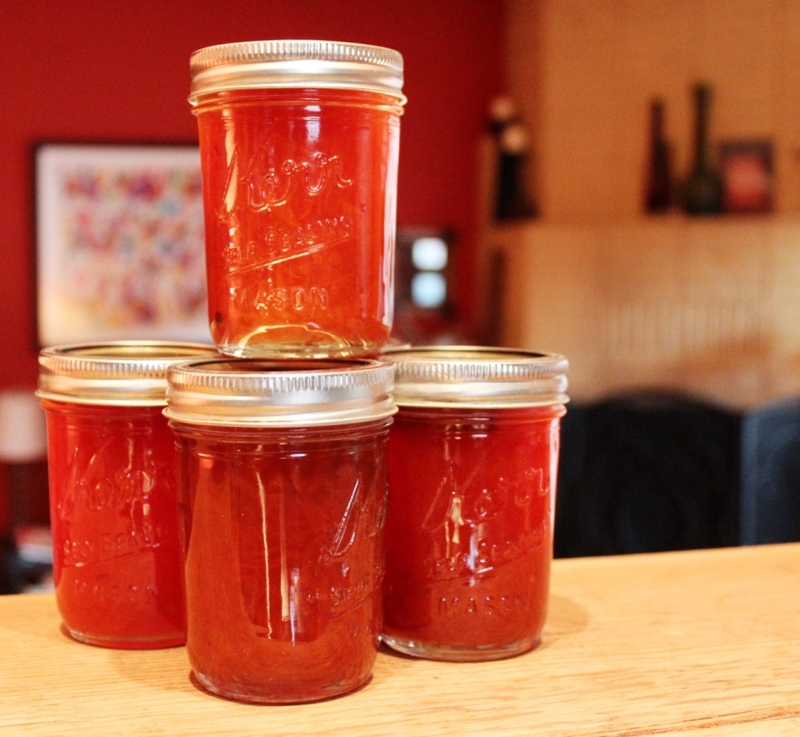 Let the marmalade jars rest on your kitchen counter overnight without moving. This entry was posted in Recipe and tagged canning, cooking, food, food nerd, Foodie, fruit, garden fruit, Life, personal, Recipe, Recipe by Julie "Phoren" Seyler. Bookmark the permalink. Wow! I haven’t heard of anyone making kumquat marmalade before, but maybe that’s because kumquats aren’t native to my area. It sounds yummy and really creative!